Entrust the management of your accounts to professionals: all segments of Forex trading are batch investing from EvenRex traders. Choose a manager based on his professional experience, scope of work, profitability, interest rate, terms of cooperation. We offer to approach the choice of a trader analytically: visit the directory of experts with serious experience, statistics and rating of success! EvenRex has a huge staff of qualified professionals, as well as versatile and unique trading tools and strategies. We use the latest developments in the field of computer technology in collecting and analyzing information on current quotes. The slightest fluctuation is tracked in a fraction of a second, transferring data on the value of assets to a specialist. The support and widespread introduction of innovations, the recruitment of highly qualified employees, and exceptional experience on the stock exchanges and Forex allowed us to occupy and firmly hold leading positions in our niche. • analytics and the formation of a flow of financial news for our partners: the basics of analytics, forecasting, expert advice, insiders. The priority in our business is a complete package of money management services on the international Forex market and cryptocurrency exchanges, ranging from opening an account to the moment when the client withdraws the profit. 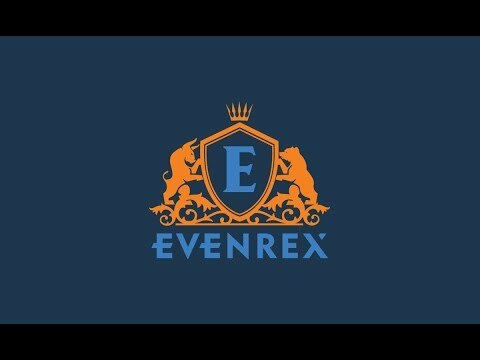 EvenRex represents the royal terms of cooperation, which are appreciated by our partners and customers. Traders in their arsenal have a wide range of financial instruments: more than 400 types, including information technology, software providers such as: MetaQuotes Software Corp. (FX Charts, MetaQuotes, MetaTrader and others), Reuters (iScreen), Dow Jones, E-Signal, as well as Dynastore, Advanced Get, Elliot Wave Soft Analyzer and Software Engineering products, full access to Quik, SmartTrade, AlfaDirect , NetInvestor, QScalp, ATAS terminals and much more. EVENREX LIMITED is a company officially registered in Hong Kong, which for more than a decade has had the status of the largest international financial center. The nature of the activity complies with Hong Kong corporate law. Security and non-disclosure of confidential customer information are high in the EvenRex policy. 2 876 173.00 539.0246 35432.22 16612.18 8793127. 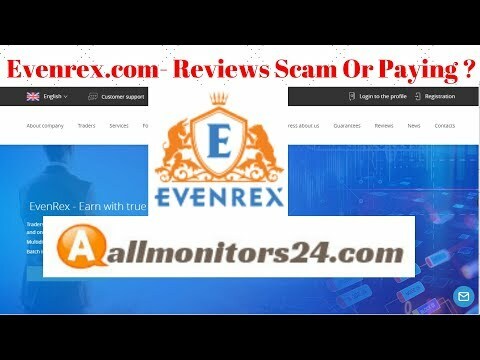 EVENREX LIMITED deals on requests from traders working with different strategies, tools, currencies around the world. These graphs show statistical data on the demand for the services we provide, which directly affects the total income. When studying these materials do not forget about the change in the number of employees, customers, as well as personal indicators of traders who form the data on profitability. Cryptocurrency deals open new horizons in profit. Every second cryptocurrency volatility increases the speculative attractiveness of the market, allowing you to perform not only more trading operations, but also to receive a daily increase from 30 to 100%, since you can work without weekends and breaks. The huge variety of cryptocurrency increases the opportunities to earn money and reduces the possible risks through the diversification of managed funds across several trade flows. Naturally, a larger flow is directed to operations with Bitcoin (about 42.7%), and trade in Ethereum, Ripple, Litecoin, Dash, Zcash is also popular. They account for about 49% of cryptocurrency transactions, while other coins account for up to 8.3% of transactions. Cryptocurrency market often demonstrates kickbacks and corrections, which are easily earned by experienced sellers and intermediaries. Therefore, this activity of our company is considered a priority and most productive. It was from it that EvenRex began its way as a cryptocurrency broker. Today, operations with digital gold are performed by most brokerage companies, not only as an alternative trading instrument, but also as a major one. EvenRex is one of the first brokers to conclude cryptocurrency transactions on exchanges, the international currency market, to make direct sales and purchases, to work with CFDs, working with different brokers and traders. In conclusion, we can say that our agents are fluent in financial instruments that allow each party to benefit. We earn not only on the growth of the cryptocurrency rate, but also on its drawdowns. Track news and analytics with us!